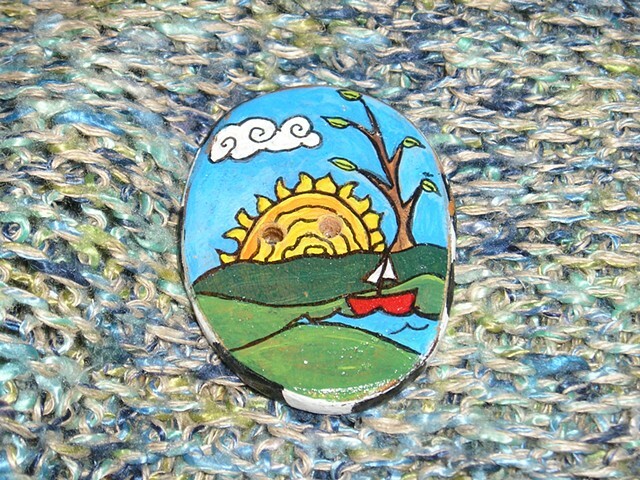 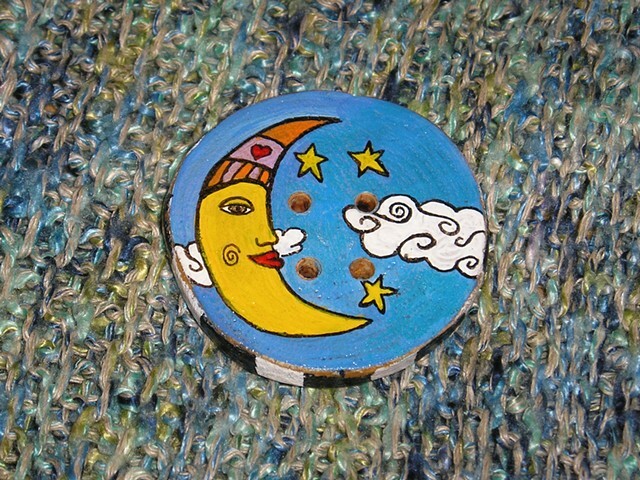 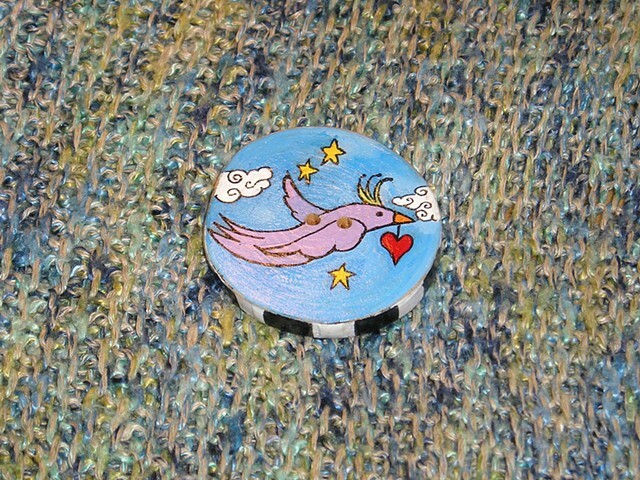 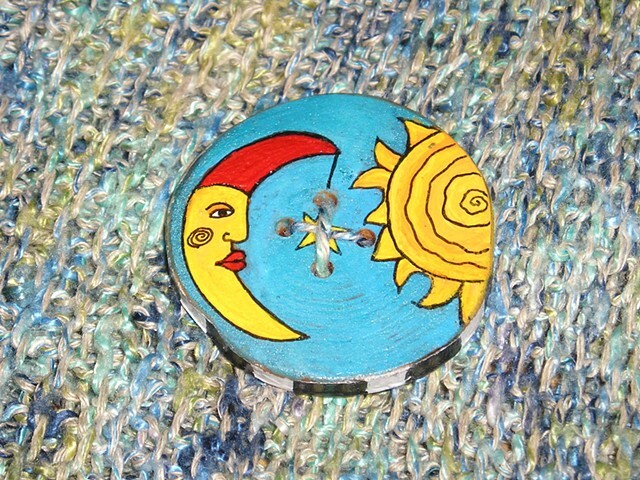 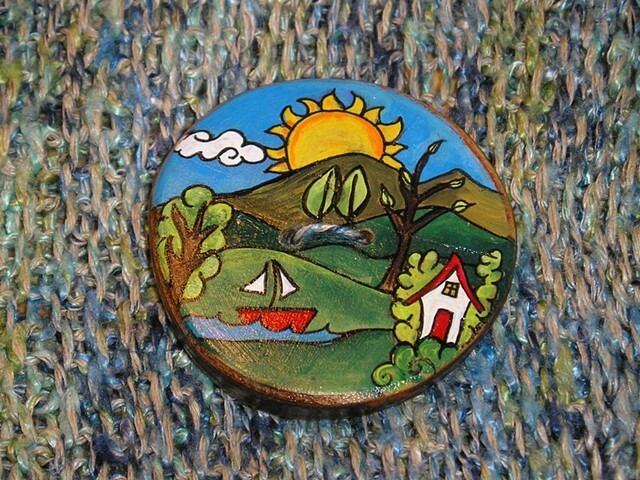 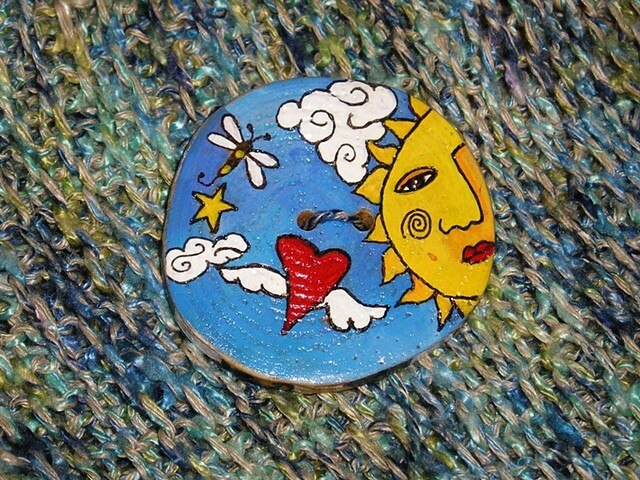 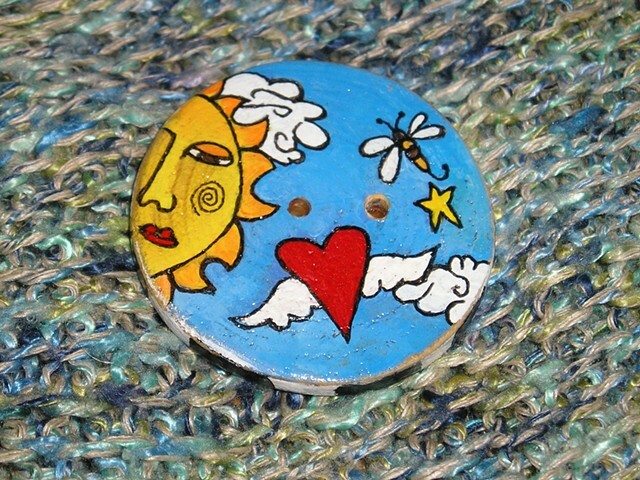 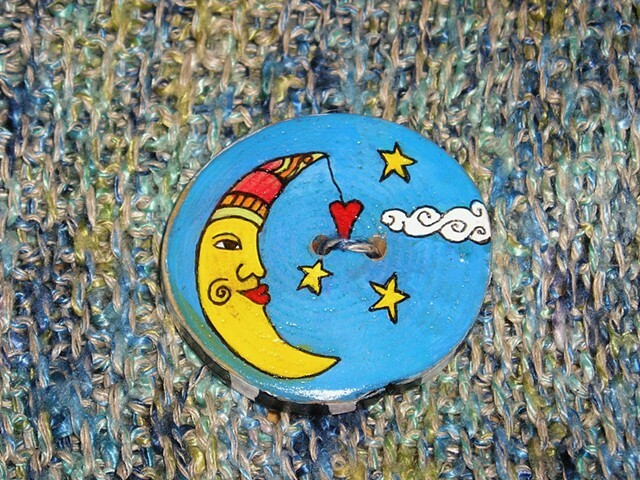 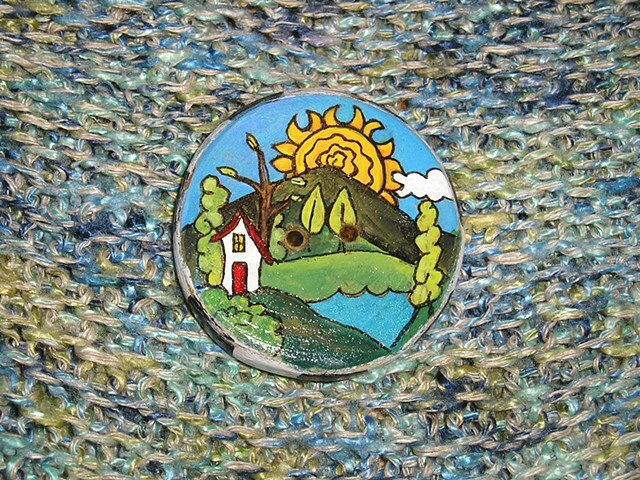 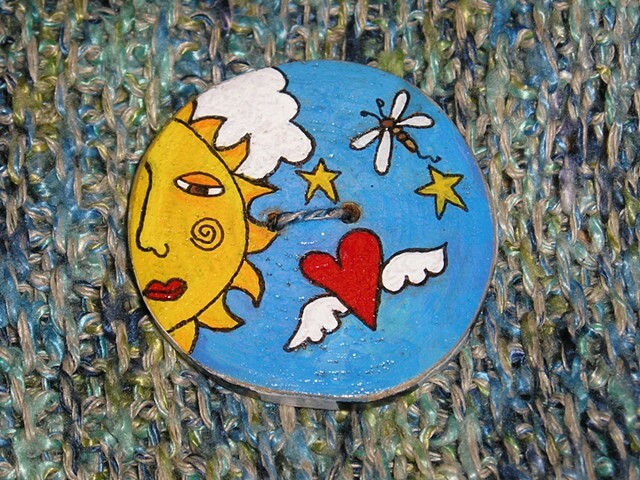 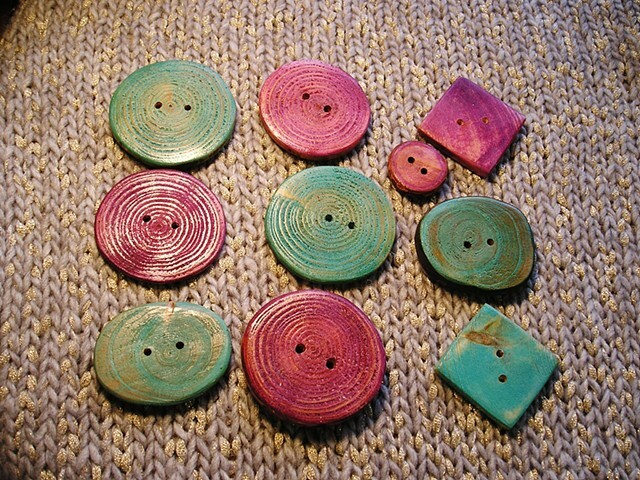 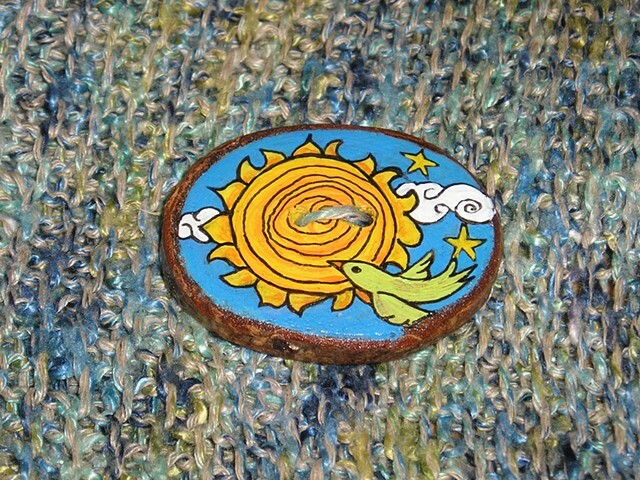 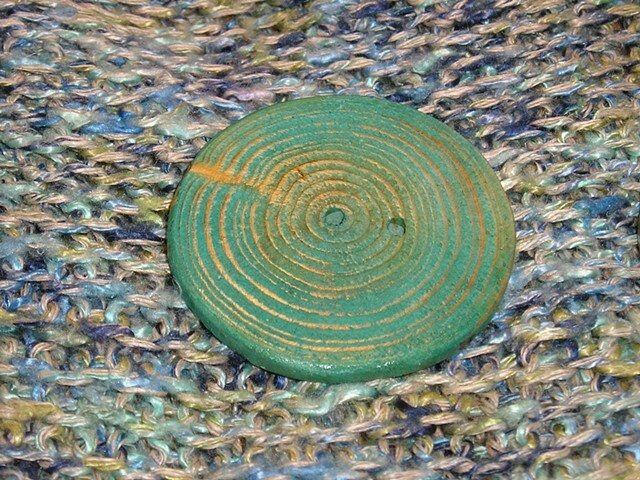 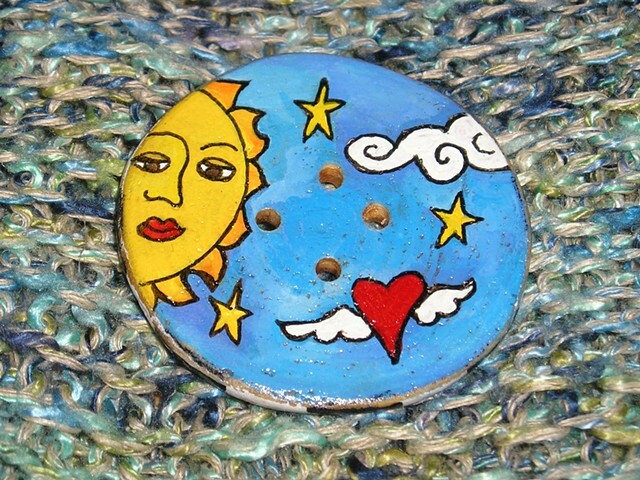 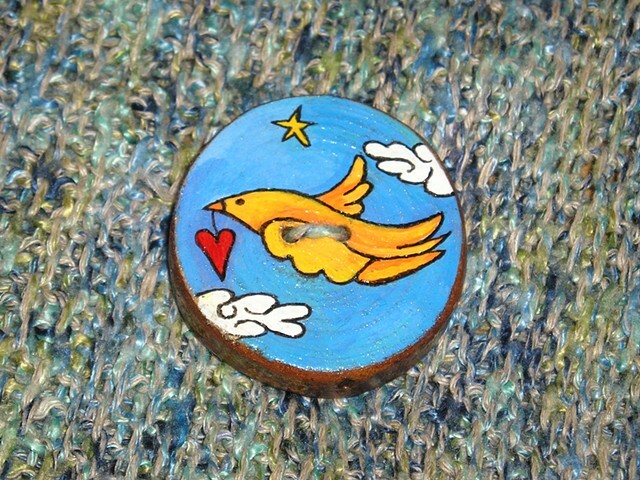 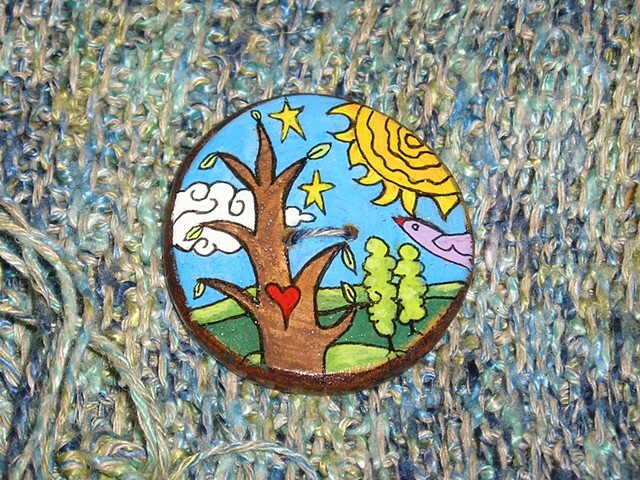 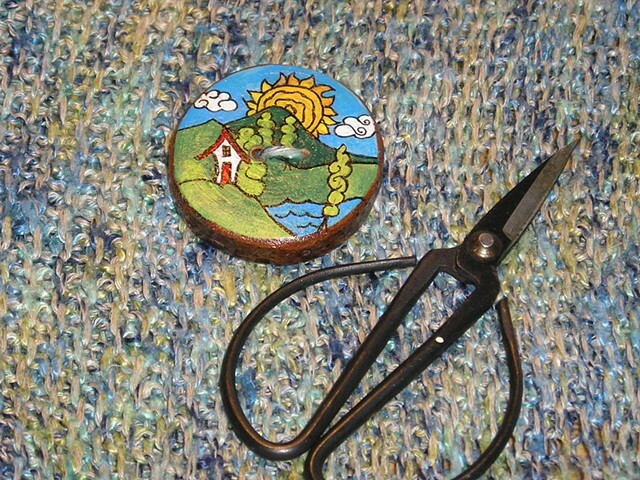 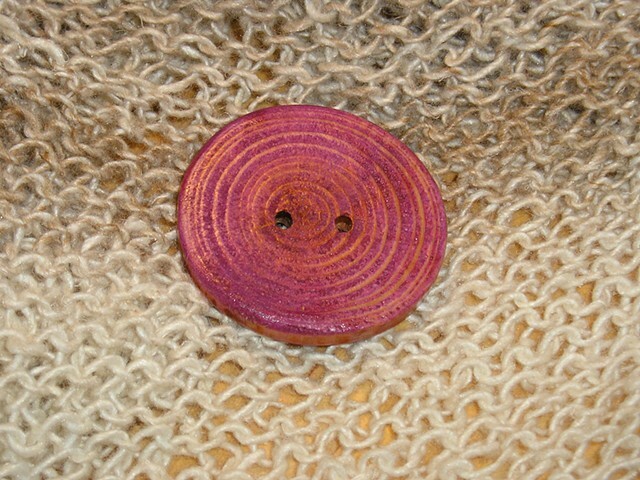 Whimsical,handmade, hand painted wooden buttons. 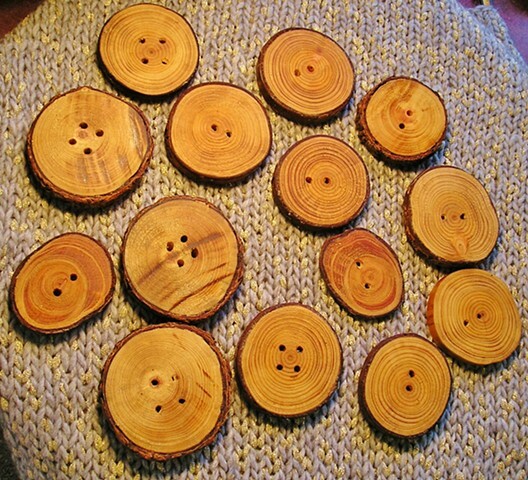 1 3/4" X 2 1/4"
2 1/4" X 1 3/4"
1 1/2" X 1 1/2 "
All of these buttons are cut from Pine, Alder, and other interesting wood that I can find on my property. 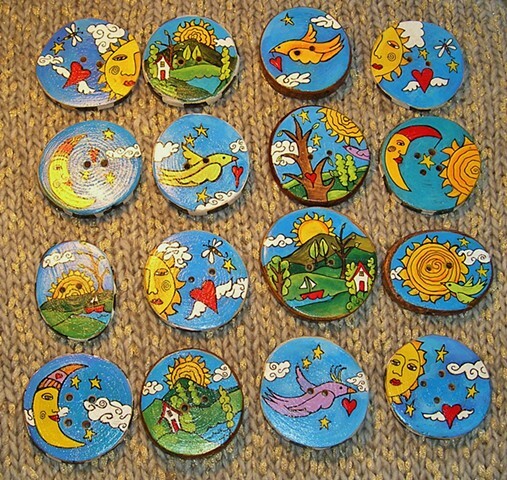 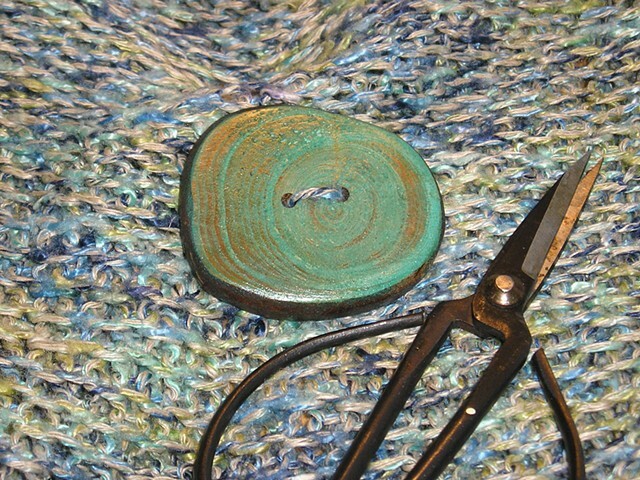 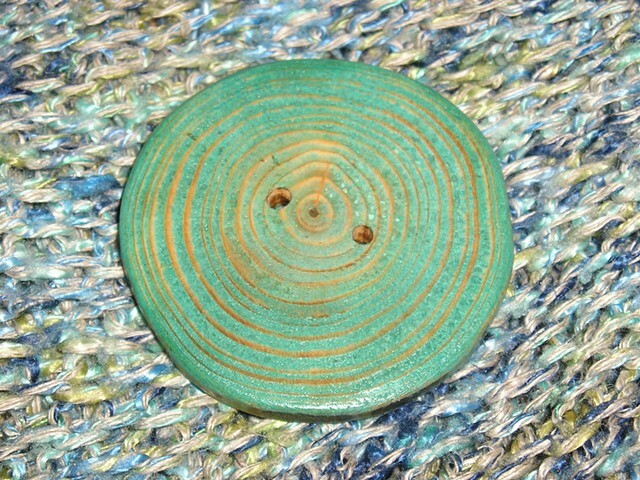 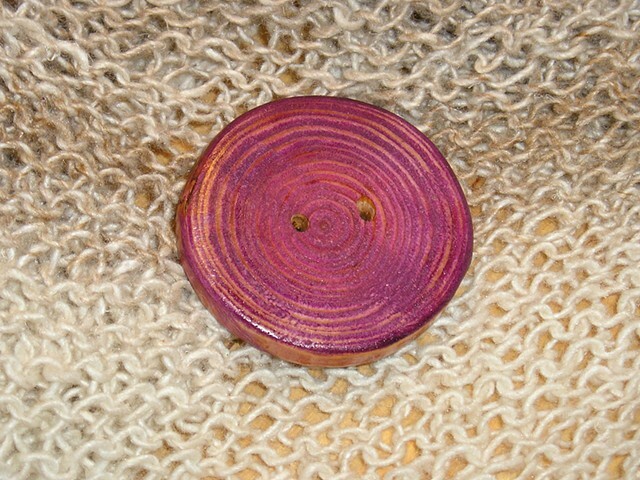 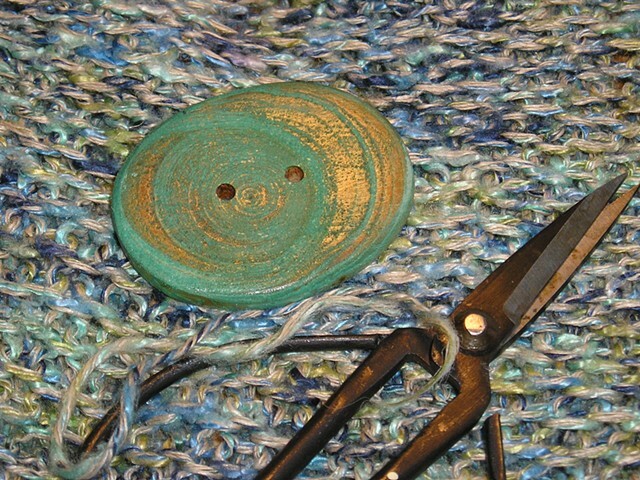 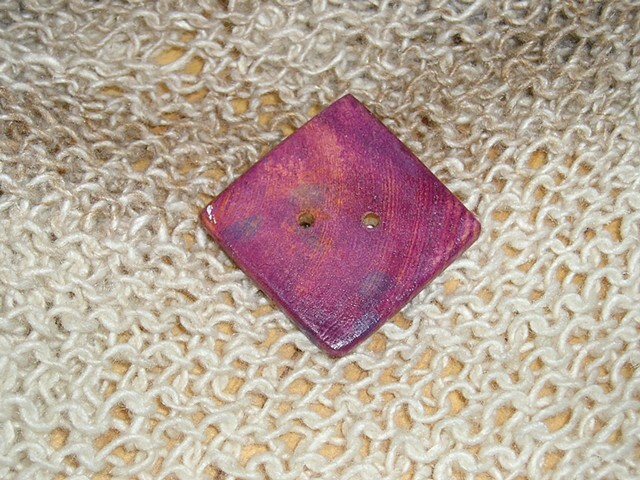 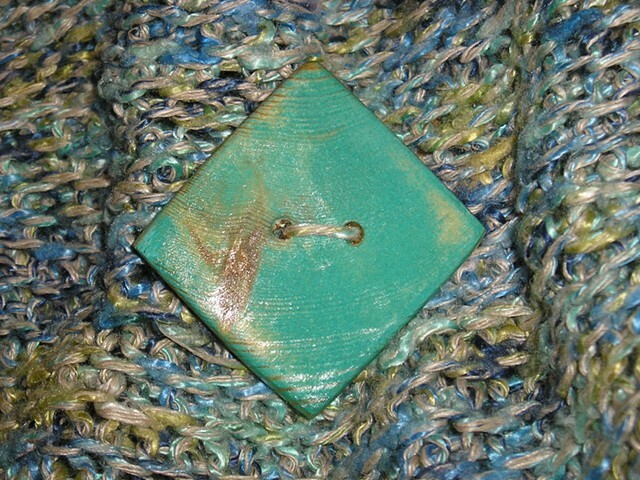 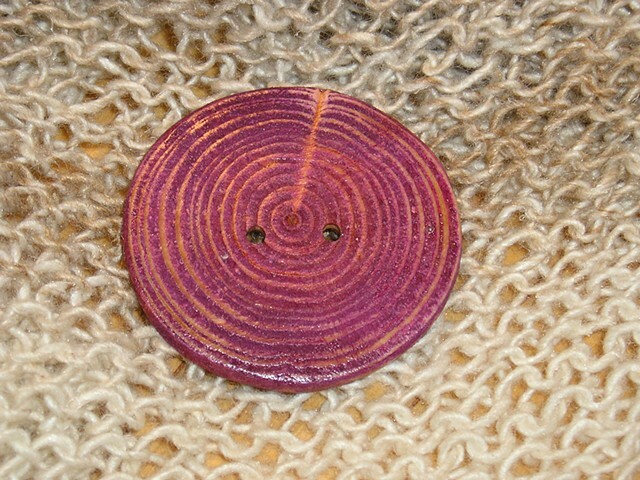 Each one is sanded, polished, waxed or painted by me to create fun whimsical buttons to adorn what ever you wish. 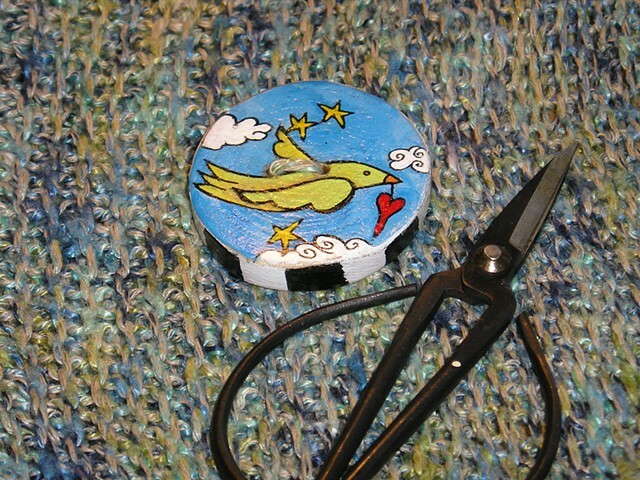 I do take special orders if you are wanting something specific.